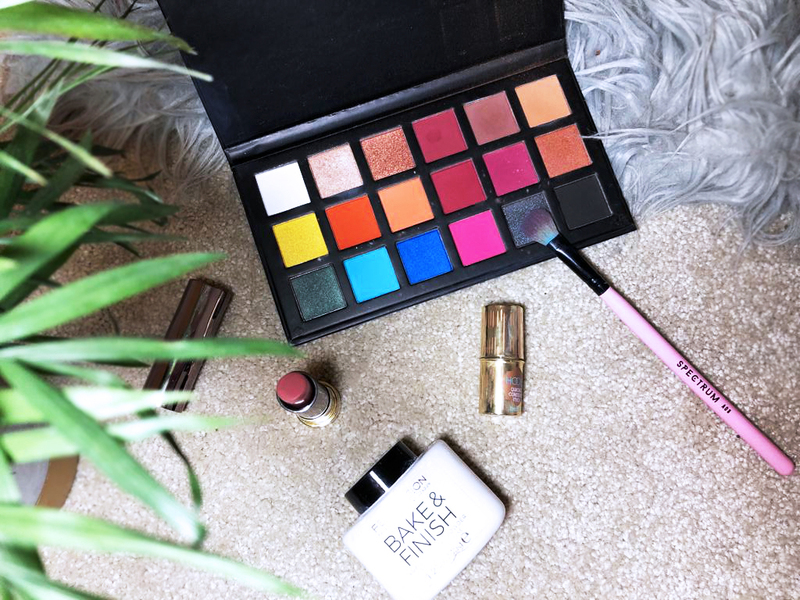 It has been some time since I've shared with you my favourite beauty products, seen as we are so close to Christmas and the New Year is looming it was time to look at my most used make up items. Typical blogger over here became a sheep and when we bought our house I also bought those Ikea draws that everyone man and his dog owns to store my beauty products in. Come to think of it, they were my first purchase for the house - oops. 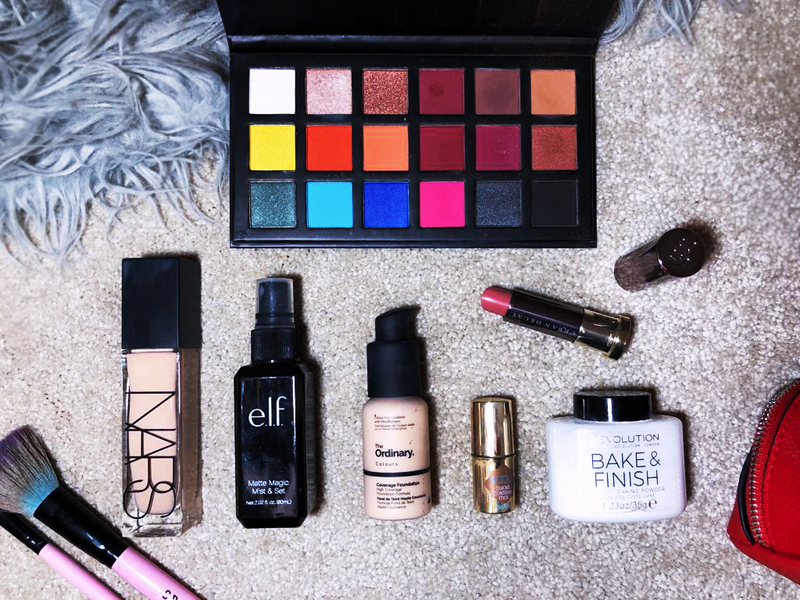 I'll admit that I only use about 10% of those products but for the life of me I cannot get rid of any of the items I've not used in a while as I am such a hoarder, anyone else? Back in April, we took a trip to London which meant I finally got around to visiting The Ordinary store in Covent Garden (F.Y.I. There's more than one, who knew). I've longed to own some of their skincare products but never really took that leap of faith to make an order so getting those products in my hands was what I needed, particularly when it came to their foundation as god knows what shade I needed. I picked up their 'Coverage Foundation' in shade 1.0N Very Fair Neutral and I am obsessed. 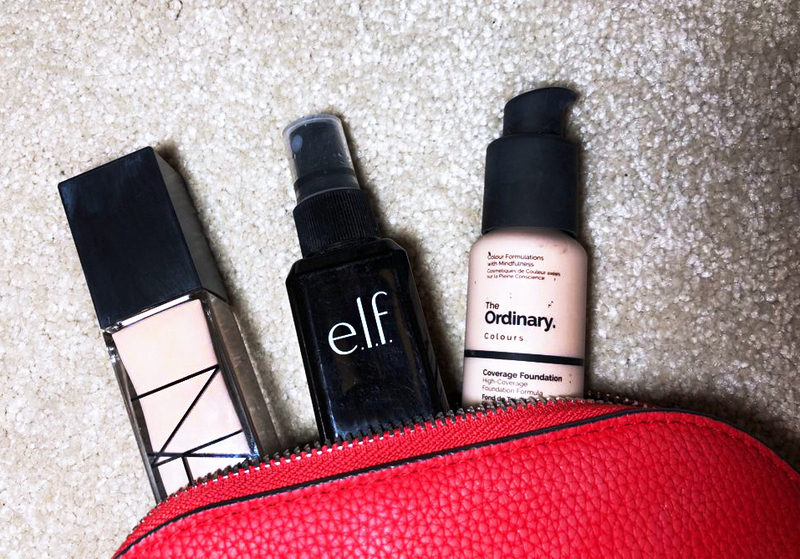 I'll admit that I was not a fan of the foundation at first, for what is meant to be a high coverage product it seemed far too light weight and just didn't cover those pesky spots and imperfections which is a huge issue for me. But after persevering as I'm not one to throw products away unless they are completely the wrong shade, I switched up my tool from a stippling brush to a beauty blender and BAM everything changed! Following the advice of wetting the beauty blender first I added a small pump of the foundation to each cheek and forehead before dabbing it in. The product blended thoroughly and the coverage was consistent and thick covering those imperfections, where as the stippling brush seemed to drag the foundation down my face and most of the product remained on the brush. Similarly, the same has to be said with my favourite higher end foundation from Nars Natural Radiant Longer Foundation, I had the same issue. Safe to say I was even more disappointed with how expensive this product is BUT again applying it with my beauty blender gave it a more consistent and thicker coverage. I would certainly recommend this product if you are looking for something a little more expensive but not a ridiculous amount. My go to eye shadow product towards the back end of the year has to be this Sample Beauty palette, now this was actually a gift from a family member. Now as you can see I have only used a couple of the shades particularly the top right one, this is amazing to add a bit of depth and shadow to the shadow area of my eyelid and then I add a little bit just under my lower lash line. On a day to day basis, I don't wear a lot of make up when it comes to work mainly because I prefer to have that extra time in bed than get up early. Anyone else with me on that? But when I do like to make an effort I love to do a bit of baking .. yeah you heard that correct. I just like to brighten up my under eye as I suffer horrendously with dark circles no matter how much sleep I get. After applying my foundation and concealer I like to get a different beauty blender (are you bored yet?) and dust quite a large amount of the Revolution Bake Finish powder under my eyes and leave them there until I have done the rest of my make up, I then get my powder brush to get rid of the loose powder. I'll be honest here, I have never really understood the use of setting spray, for me it just hasn't worked. 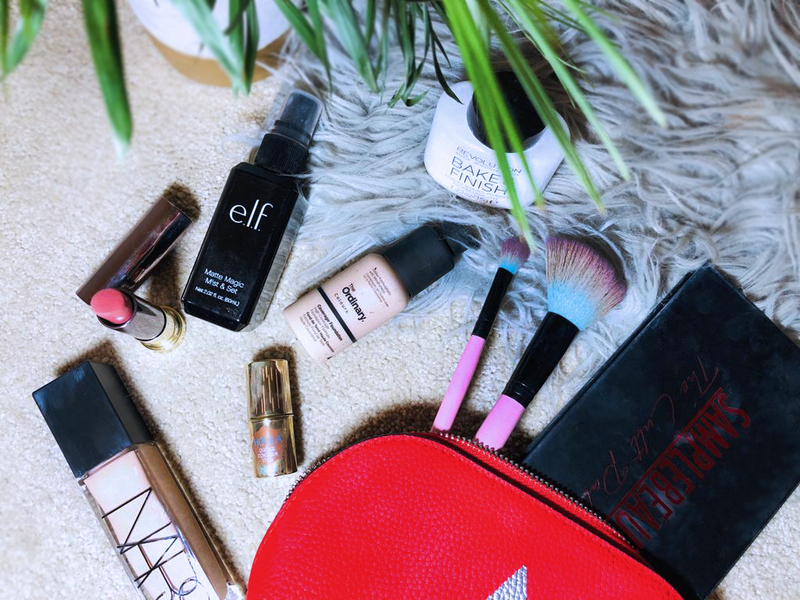 Then I discovered Elf Setting Spray, I'm not going to lie it came in the 3for2 offer so had to take advantage of it and I loved it, I actually need to repurchase as I've run out and it isn't until I ran out that I realised how much this product actually worked! 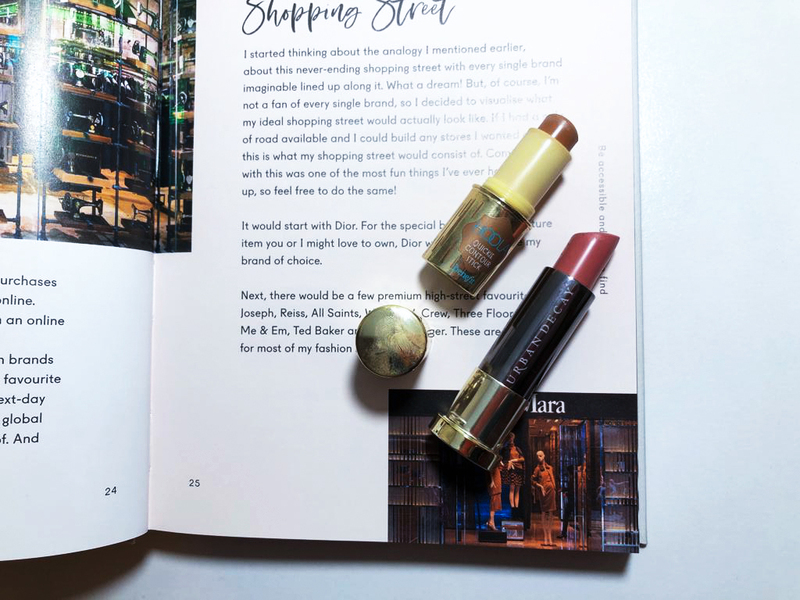 Onto lipsticks and the one I have been reaching out for the most is from Urban Decay, it is the most beautiful and natural shade who h is perfect for everyday wear and if I want to add a bit of depth I'll add a bit of lipliner to make my lips looks a bit more plump. Finally but no means least, I have recently discovered the Benefit Hoola Contour Stick thanks to the mini in a magazine. I love a good freebie! I've again been reluctant at purchasing such a product, contouring scares me a little, more so because I'm not the best at creating those cheekbones. But the product is so creamy and super easy to blend - I'm not even going to mention what with... I know that when I can afford it, I will be purchasing the full size product. These are all the products I have been loving this year and will hopefully be my go to products for 2019.